A cryptocurrency company born in Boulder is ramping up operations in Denver. Zcash, which said its currency of the same name offers greater privacy than well-known alternatives such as Bitcoin, established a Denver office this year in RiNo’s Industry coworking space. 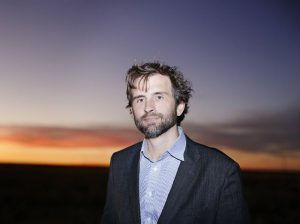 Zcash founder Zooko Wilcox started developing Zcash in Boulder in 2015. The startup now has 27 employees around the world, and the dozen employees in Colorado picked Denver when deciding where to base the engineering team. ShapeShift, which trades digital assets, expanded its Denver office last year, and blockchain loan startup Salt Lending did the same this spring. Citing new businesses, meetups and engineering talent, Swihart said Denver is becoming a hotbed for blockchain and cryptocurrency companies. Zcash is looking to hire another six people in Denver, but Swihart said the company will continue to keep staffers elsewhere too. He said the startup doesn’t want to be overly concentrated in one location. Wilcox developed Zcash as a way to create a digital asset that was fundamentally private, Swihart said. Unlike Bitcoin, Zcash keeps the sender, receiver and amount private, while maintaining a public blockchain, he said.